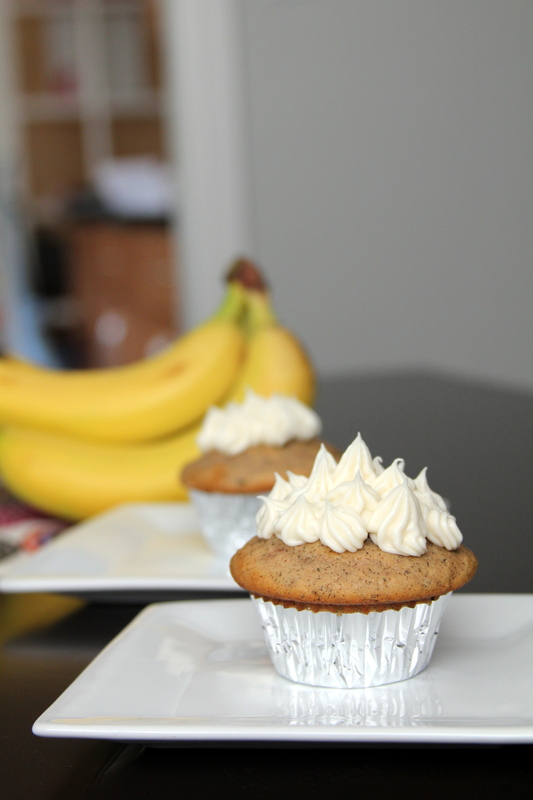 Bananas for Cupcakes! [recipe] – Cin Cin, Let's Eat! A few weekends ago, my cousins came over for dinner and brought a dozen assortment of Kara’s Cupcakes with them. It just happens to be one of my favorite cupcake bakery in the bay area! We finally finished all the sugary goodness after 3 days…and on the 4th day, my sister emailed me a recipe for Kara’s Banana cupcakes filled with chocolate ganache and cream cheese frosting… I guess her mind was still on those cupcakes. Everytime she emails me a recipe, it’s usually a hint for me to carry it out so she can sample. Anyway, her wish is my command. I made a dozen of these bad boys along with the cocoa layer cake last weekend, and I gotta say, this is a really good recipe. The cake was light and fluffy, and the chocolate and the cream cheese made it just the right amount of richness and sweetness. I really didn’t do that much alterations to the recipe. For the cake: I used more banana puree (about 3/4 cup), and less sugar (1/3 cup) since the bananas are sweet. For the frosting: 6 oz cream cheese (instead of 4), 1.5 cup powdered sugar. It was already plenty sweet after 1 cup, but I wanted to make sure the frosting will not be soft and melt in room temperature. If it does, just chill the mixture prior to frosting, and chill the frosted cupcakes afterward, the sugar and the butter in the frosting will harden more. Let them come to room temperature before serving. Leftover frosting? 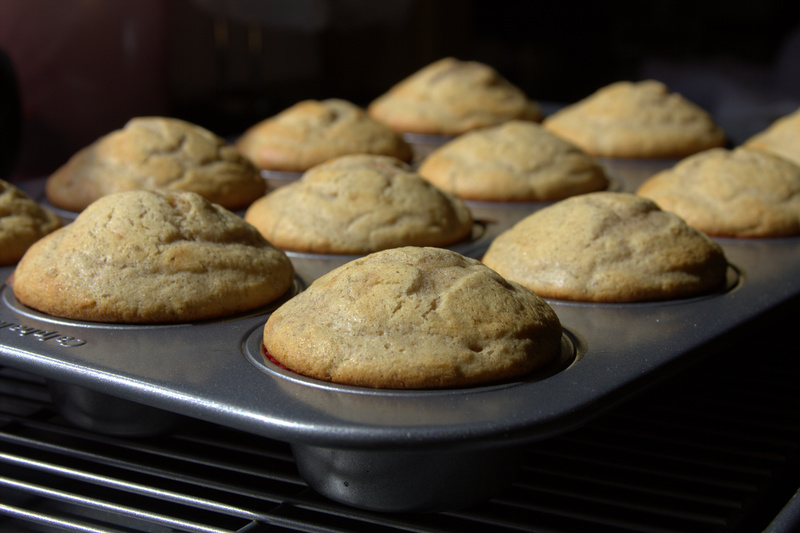 Some people like a lot of frosting on their cupcakes, but with the way I frost, I probably could have frosted another dozen of cupcakes with the same batch of frosting. So consider cutting the frosting portions by half, or make 2 dozens cupcakes instead! Leftover frosting is also great on cinnamon rolls or toasts, or spread it between two graham crackers for a quick snack. You can also put the leftover frosting in a plastic bag, freeze it for later use. 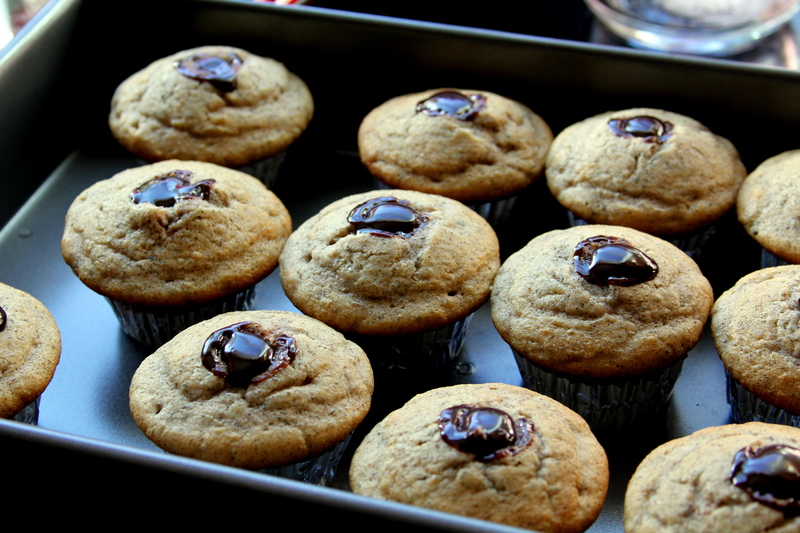 Pingback: Swirly Mini’s | Cin Cin, Let's Eat! 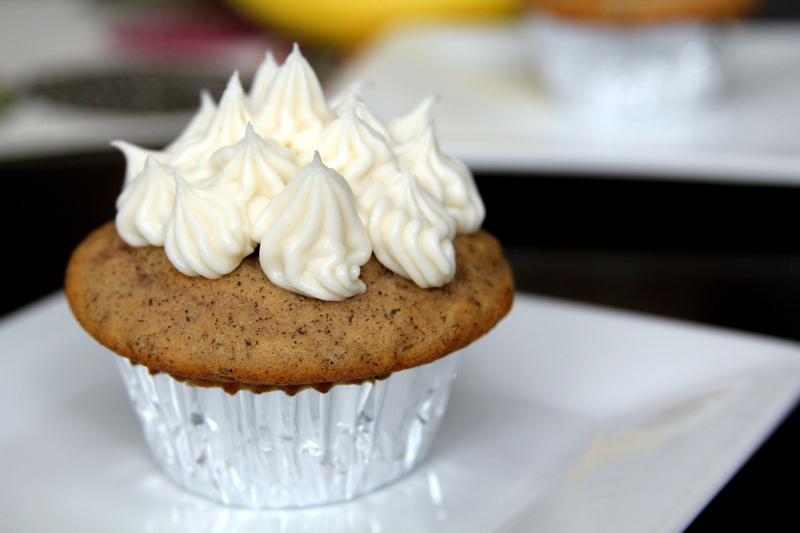 Pingback: Peanut Butter Buttercream, Three Ways [recipe] « Cin Cin, Let's Eat!